Sold by faes_media and Fulfilled by Amazon. Gift-wrap available. Comment: Ex Library. Disc(s) are in excellent shape. Tested and working. Ships directly from Amazon. This item is prime-eligible! Sold by kylakins and ships from Amazon Fulfillment. 5.0 out of 5 starsONLY THE COVER HAS changed on the 40th Anniversary edition! I'm not rating this lower than the 5 stars it deserves.... but BE WARNED.... even though the BR disc has different art... it's the same thing , same transfer, same menus... Blazing Saddles 40th anniversary edition did have some additional features and upgraded image but not this movie sadly. 5.0 out of 5 starsMel Brooks' 3rd masterpiece. Beautiful film-making to go with the madness. While not quite as wildly funny and off the wall as Mel Brooks' earlier masterpieces ‘The Producers' and 'Blazing Saddles'’, this is much better film making, with great black and white photography that really captures the original Frankenstein films. 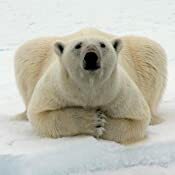 It reminds me of the step Woody Allen took with “Love and Death”, when he combined his always wild and brilliant comedy with a new visual flair and sophisticated use of the medium. And if this is a touch more subdued than its predecessors, it’s still brimming over with amazing comedy both high and low. The cast is great. Gene Wilder, while always being very funny, creates a young Frankenstein who seems almost like a real human being, and who we actually feel for in some scenes. Peter Boyle’s monster is a brilliant comic creation, accomplished mostly without words. Marty Feldman as Igor (pronounced Eye-gore) Frankenstein’s faithful assistant seems to be channeling the soul of Groucho Marx -- and somehow, even though he seems like he’s in another, more aggressively silly movie, he pulls it off and it adds instead of distracting. But everyone is excellent; Madeline Kahn, Terri Garr, and the always wonderful Kenneth Mars. The only reason I’d put this a touch below “The Producers” is subjective. I’ve seen each about 5 times. 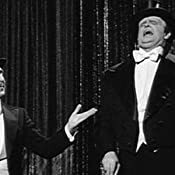 But on a recent re-viewing, “The Producers” still made me laugh out loud in places, re-seeing “Young Frankenstein made me smile a lot, but not laugh. BTW - It's worth getting the blu-ray for the wonderful cinematography and production design. Funny, I realized I NEEDED this movie after Gene passed, ran out and bought it, only to realize, I already owned it! D'oh. Like I care. Now there's one upstairs and one downstairs. Never know when you need a Gene Wilder fix of the highest order. This really was some of his finest work. Brilliant. I think the only think I never liked, as a kid, was the monster putting on the Ritz... but I hated that song. :p Now, as an adult, I get the scene better, and don't care as much. And it's well done, so there's nothing more than personal prejudice there. Whatever. I can dislike what I choose to. I'm a free-willed human being. Much like the Monster, once he was brought to life. 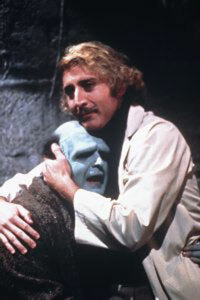 There have been many people before me who has praised this Mel Brook's work of art of "Young Frankenstein". I'm only echoing what everybody has said about this movie. Gene Wilder is a delight. Peter Boyle gives the creature/monster a comedic heart that will make you fall in love. The choice to film it in black and white gives its charm. I love how Mel Brook's keeps some of the Gothic element of what the author Mary Shelley wrote for her book Frankenstein. Essentially, this movie is a parody based on of the 1930s film adaptation of her novel. It's a trifecta of sorts. All in all, a great film to watch and have in your collection. Mel Brooks' parodies are like your favorite, worn-out couch. You know it's not the greatest in style, taste and quality, but it just feels so damn comfortable. Of late, most of Mel's spoofs have been off the mark, his work mellowing into predictability. In fact, you really have to go all the way back to 1974 to see Brooks at his sharpest. In that year we were awarded "Blazing Saddles" AND "Young Frankenstein." 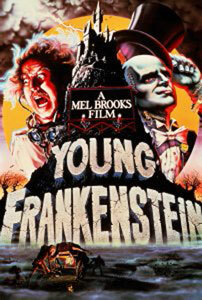 Perhaps "Young Frankenstein" is not definitive Mel Brooks, although he directed it. Gene Wilder, who not only stars but co-wrote it with Mel, was the inspiration to make this movie. And it's his influence, I think, that brings the best out in Mel. When spoofing a historical era, movie genre or legendary tale, Brooks' satirical bag of tricks always included a hodgepodge of crude sight gags, burlesque schtick and stale Jewish jokes done at rapid-fire pace. The plot became an after-thought, working around the barrage of unsubtle humor. In targeting the classic ‘Frankenstein' series, however, Brooks worked in reverse, wisely focusing on plot, tone and atmosphere, then complementing them with clever, carefully constructed bits. A rich staple of comedy pros from Brooks' fun factory (Mel graciously did not cast himself here) were employed to wring out the most laughs possible out of the fresh, inventive material. 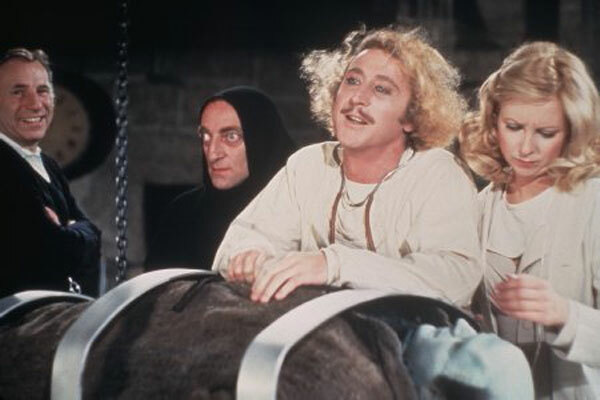 Gene Wilder plays the frizzy-haired, eruptive college professor Frederick Frankenstein (pronounced FRONK-en-STEEN), grandson of the infamous scientist, who gives in to the maniacal tendencies of his mad ancestor after inheriting the late Baron's Teutonic castle. 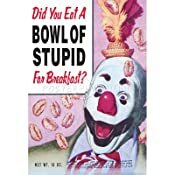 His simmer-to-boil antics have seldom been put to better use, while only pop-eyed Marty Feldman, who gets to break the fourth wall as Igor (prounouced EYE-gor), the dim, oddball assistant, could milk a hump for all its worth. Kenneth Mars too gets a lot of mileage out of his one-armed, slush-mouthed inspector. 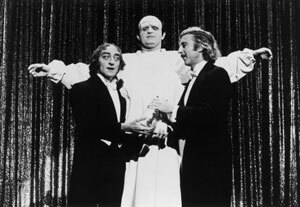 In the film's most difficult role, Peter Boyle's appearance as the Monster is jarring at first, looking like a cross between Herman Munster and Uncle Fester. But he increasingly wins you over, earning even a little empathy along the way. His character is the most crucial for this parody to work right and he succeeds, figuring in a high percentage of the comedy highlights. Representing the distaff side, Madeline Kahn is one cool cucumber, stealing focus whenever she's on camera as the placid, meticulous, hopelessly stuck-up fiancee Elizabeth; Cloris Leachman sinks her teeth into the role of the grotesque Frau Blücher, whose mere mention of her name sends horses into panic; and Teri Garr is delightful as a dinghy Deutschlander who assists Frankenstein in his wild experiments and other things. 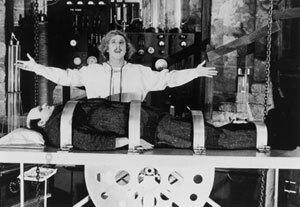 An amalgamation of Universal's earliest and best ‘Frankenstein' movies ("Frankenstein," "Bride of Frankenstein" and "Son of Frankenstein," this spoof relies on close imitation and Brooks took painstaking methods to recreate the look and feel of James Whale's original sets, black-and-white photography and musical score. It pays off in spades. Nearly 30 years later, this movie still leaves me in stitches. Wilder and Garr's revolving secret door bit is still priceless, as is Cloris Leachman's ‘ovaltine' routine and the Wilder/Boyle "Puttin' On the Ritz" tie-and-tail duet. Boyle and the unbilled Gene Hackman in the "Blind Hermit" scene ripped off from "Bride of Frankenstein" are uproarious, easily winning the award for sustained hilarity in a single sketch. Add Feldman's hump and Mars' troublesome mechanical arm and what you have is rib-tickling entertainment from start to finish. Madeline Kahn's post-coital, cigarette-smoking scene with ‘ol zipperneck' who leaves her in a sexual snit must go down in Hollywood annals as the funniest scene ever caught on camera. Certainly Jeanette MacDonald's puristic rendition of "Ah, Sweet Mystery of Life" will never have quite the same meaning again after you've heard Madeline's spin on it. 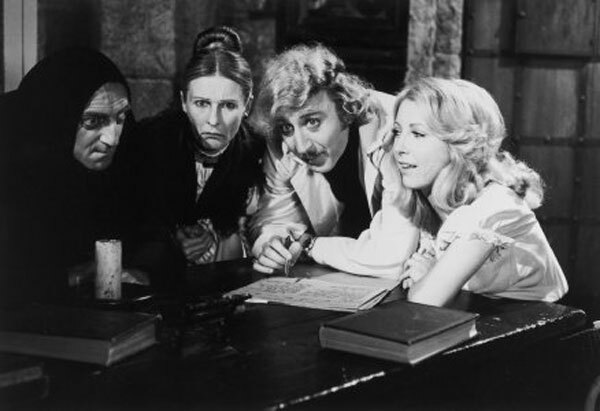 "Blazing Saddles" indeed has its insane moments but when it comes to toasting Mel Brooks in the years to come, "Young Frankenstein" should certainly stand front and center when representing this clown prince of comedy. 5.0 out of 5 starsBlucher!! I believe this is Mel Brooks' best. It pokes fun at the old horror movies but with an affectionate twinkle in the eye. Sure, it's camp but not campy (except for Marty Feldman who is terrific as the audience's surrogate). The cast shows restraint by not going over the top and is funnier for it. Frau Blucher could have been a throwaway character but the reaction from the horses and her pained expression is perhaps the most mimicked part from the film. Gene Wilder is at his best from beginning to end and when he grandly re-pronounces his name I'm torn between laughter and cheers!